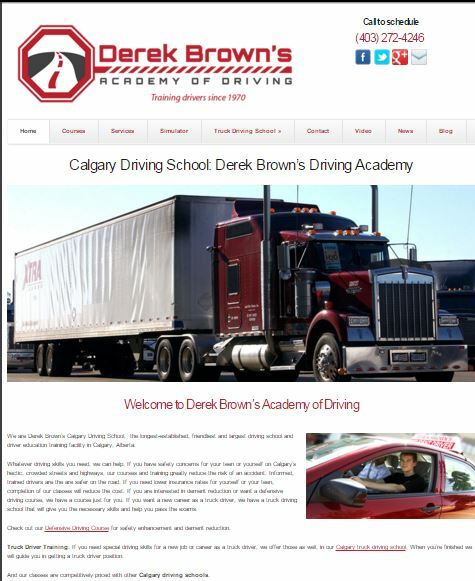 One of our oldest and dearest clients, Derek Brown’s Academy of Driving, recently requested a redesign of their website. They wanted an upgrade to a new generation website that filled the screen and would be more interactive. They also wanted contact forms. We at Ducktoes Webdesign were excited by this challenge. We were happy since we wanted to make the site more personalized with real photos of Derek’s Brown’s company in action and also create some eye-catching visual movement that would create interest and keep users on the page longer. We needed to make it more mobile responsive as sites need to be now since users are using smart phones and tablets more as well as laptops and desktops. 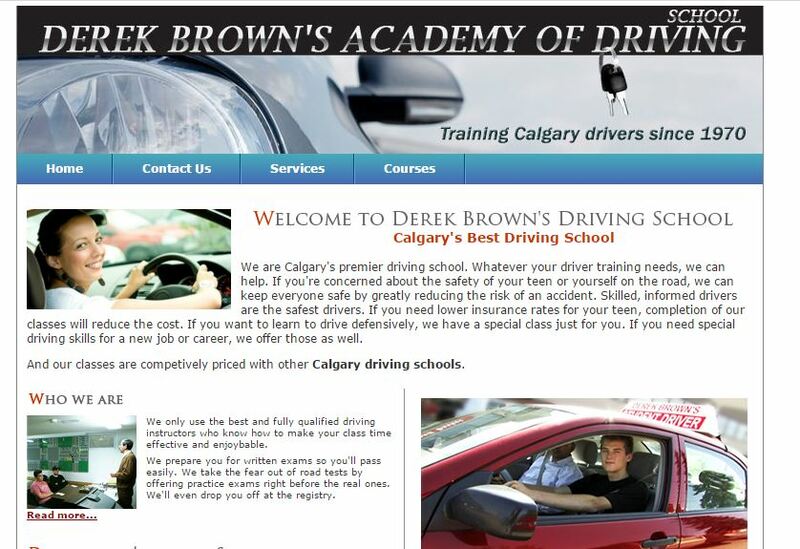 If you’d like a web design like this from Ducktoes, call 403-483-0105 or visit our Calgary Web Design page. The new website design looks great, fantastic job and keep on growing!